We’re here at the cottage again this weekend and the heat is stifling, it’s much cooler inside even without air conditioning. Yesterday evening I started preparing my Stitch and Slash project by selecting then ironing my fabrics, pinning them together then drawing my pattern with a water soluble marker. This afternoon I sewed my lines then started slashing. This entry was posted in Fiber Arts and tagged Batik, Carol Ann Waugh, Stitch and Slash by Tabatha. Bookmark the permalink. 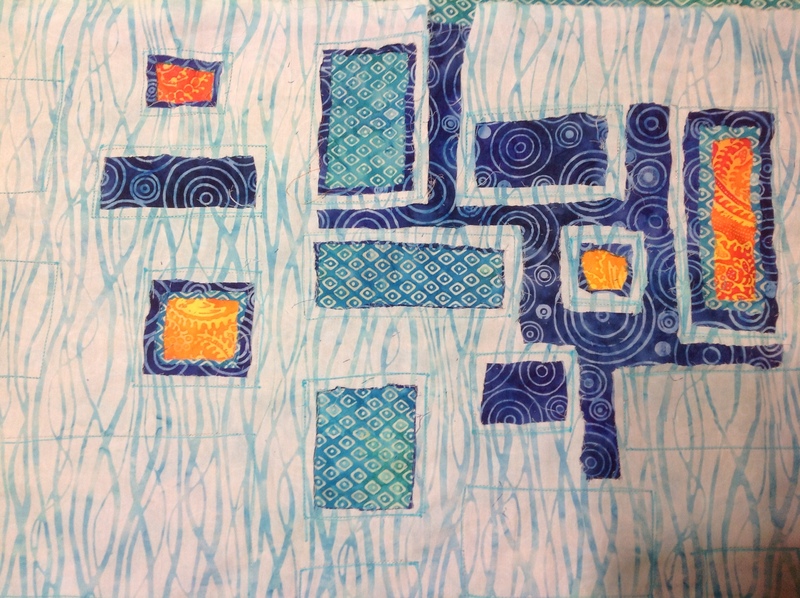 Cool in the quilting world or not, I still love batiks and have a HUGE stash of them. I’ll use them eventually though. Oh hooray! 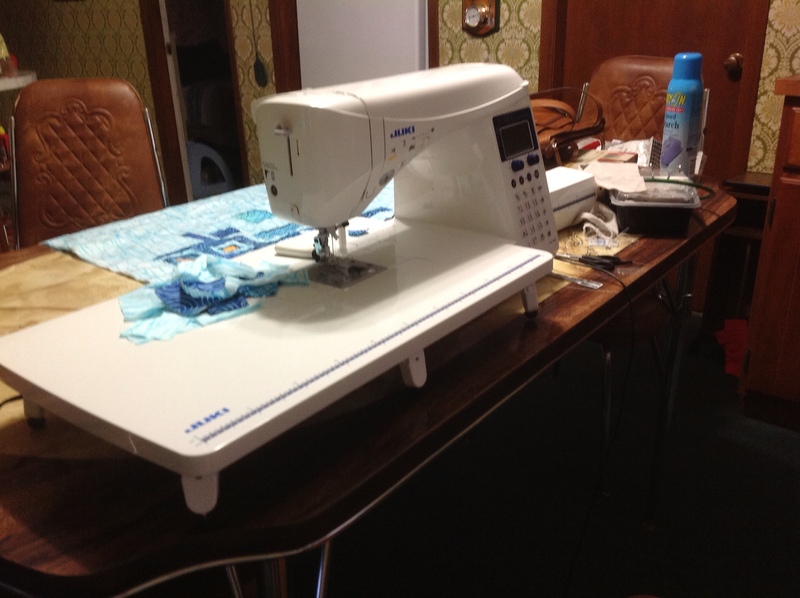 You still like your Juki-post-Bernina? It’s the reason I found your blog (I’ve been researching that machine) and have enjoyed reading your blog ever since. Yes, I do still love my Juki, it’s so quiet and smooth! I wish I had the 1/4″ foot with guide for my Juki but parts are expensive and hard to find. I have both set up in my studio so if I want to free motion quilt on my Bernina, I can still piece on the Juki without having to change everything.